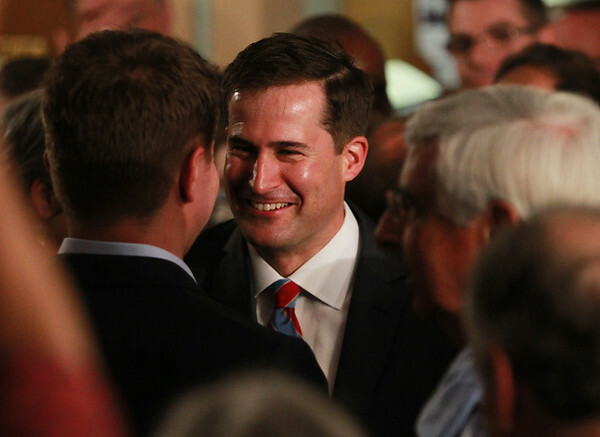 Democratic Nominee for the 6th Congressional District, Seth Moulton, is glad-handed by his supporters at the Salem VFW after beating out four other candidates including incumbent John Tierney. DAVID LE/Staff photo. 9/9/14.